Pertenhall Paths - two walks at Pertenhall Walking RouteTwo circular walks around the ancient village of Pertenhall. Start Point: Start at the Village Hall. Start Nat GR: TL085657. 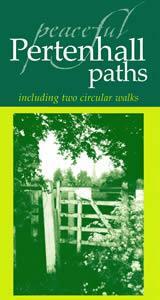 Two circular walks around the ancient village of Pertenhall. How to get there by car/parking: The Kimbolton Road, B660 takes you straight from Bedford to Pertenhall. Car parking facilities unspecified.